True North Textiles - Custom Handwoven Rugs — Why not Ombre? Our Seattle showroom, Michael Folks, came to us with a Lark Textile Design sample that our predecessor Janet had designed when she owned the looms. 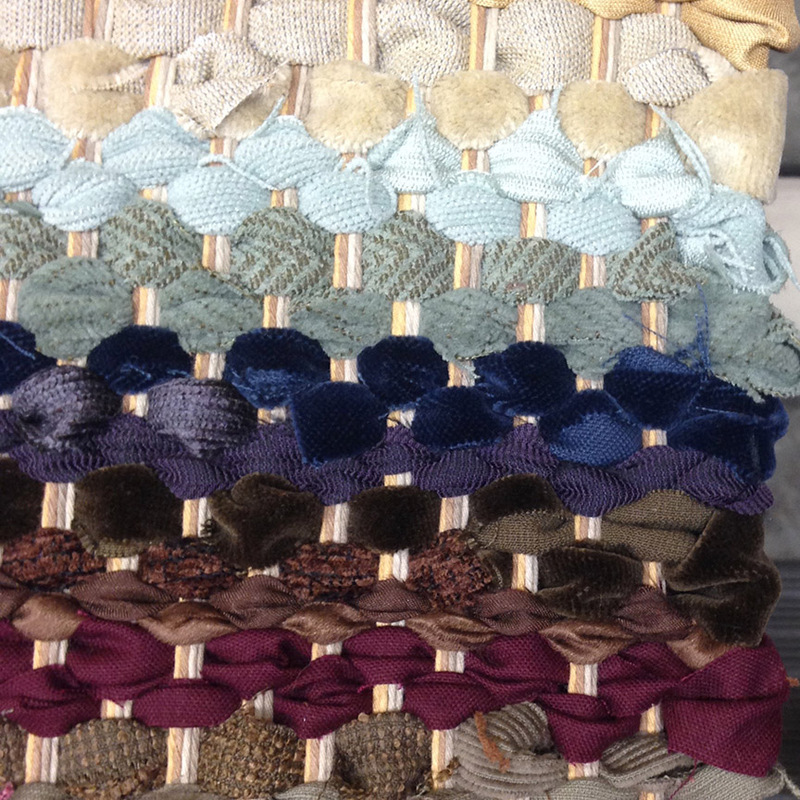 We created a couple of new color options to match the style of her original rag rug cutting. The client wanted some rich colors to go with their floral fabric. It was a bit of a challenge to strategize a method to make the ombre colors line up but it turned out great. This project was a joy to execute! Finished rug is around 5' x 7'.